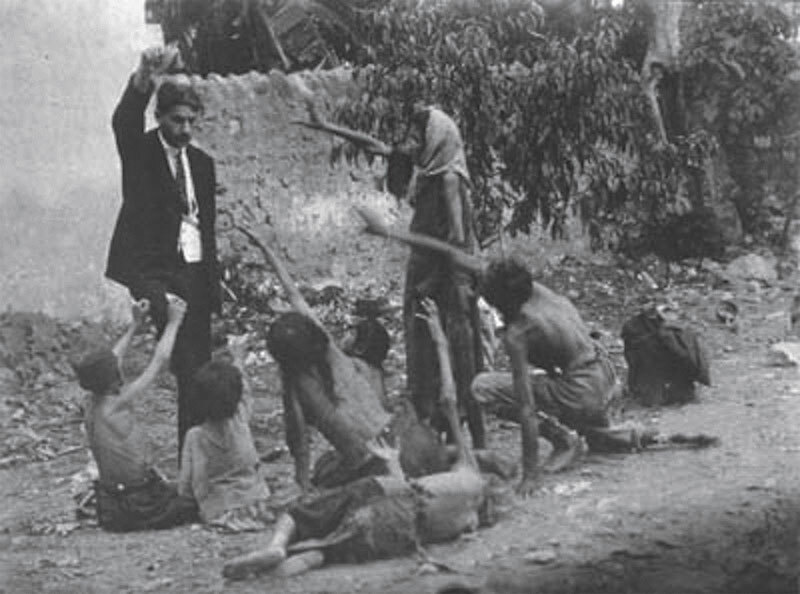 For several decades the Anti-Defamation League (ADL) and other leading Jewish American organizations (AIPAC, AJC, B’nai B’rith, and JINSA) have deliberately colluded with Turkey and Israel to defeat U.S. Congressional resolutions on the Christian Armenian Genocide and to diminish the factuality of that genocide. The hypocrisy is breathtaking given these organizations’ loud, endless demands for recognition of, and legislation on, the Jewish Holocaust. Starting in 2007, Armenian Americans in Massachusetts and elsewhere made international news by exposing the national ADL’s hypocrisy. In disgust, 13 Massachusetts cities and the umbrella Massachusetts Municipal Association kicked out the ADL’s alleged anti-bias program, “No Place for Hate.” Human rights advocates and many honest Jews supported those efforts. The Turkish government raged that its collaboration with Israel, the ADL, and other Holocaust hypocrites had been blown wide-open. But in mid-May, a small group of Armenian Americans in Massachusetts – including the politically ambitious Sheriff of Middlesex County Peter Koutoujian and a few members of the Armenian Assembly of America (AAA) and the Armenian National Committee of America (ANCA) – struck a horrible “deal” with the two-faced ADL. For his part of the “deal,” ADL National Director Jonathan Greenblatt casually “blogged” that his organization now “unequivocally” acknowledges the Armenian Genocide and “would support” (not “do support”) American recognition of that genocide. Of the many things wrong with this “deal,” let’s list a few. The “deal” was concocted behind the backs of the Armenian American community and the hundreds of activists – Armenian and non-Armenian – who started the campaign in 2007 and have battled the ADL since. Why haven’t the verbal or written details of the negotiations and “deal” been made public? Why the lack of transparency? Greenblatt (former Starbucks VP and Special Assistant to Pres. Obama) isn’t the ADL’s highest official and may not have the authority to set policy. Have the ADL’s National Commission and National Executive Committee (its “highest policymaking bodies”) formally approved of Greenblatt’s “blog” post? We don’t know. The Armenian American activist website “NoPlaceForDenial.com” demands that the ADL “support U.S. affirmation of the Armenian Genocide, as it does with the Holocaust.” I authored those last six words years ago. They mean that as partial atonement the ADL must work as hard for acknowledgment of the Armenian Genocide as it has for the Holocaust. Nothing in Greenblatt’s statement remotely suggests that the ADL would do that. For three decades or more, the ADL has attacked Armenian Americans and worked with Turkey and Israel to defeat U.S. recognition of the Armenian Genocide. Yet the ADL has never apologized for its atrocious conduct. Ironically, the only ADL apology came in 2007 when National Director Abe Foxman apologized to Turkey because publicity surrounding the Armenian issue had embarrassed that country. The failure to obtain an apology from the ADL is scandalous. An 87-year-old German woman has been sentenced to 10 months in jail for denying the Holocaust. Ursula Haverbeck insists that Auschwitz was “not historically proven” to be a death camp. What sort of nation throws 87 year old women into jail for speaking the truth? Certainly not one that can consider itself to be a functioning free and fair democracy. I present a few pictures of the Auschwitz “death camp” to support Ms. Haverbeck’s position – it was not a death camp, it was a labour camp. 8. nov. 2015 – The crown was presenting its criminal case against Arthur Topham, for the … qualified Len Rudner as an expert in Judaism and anti–Semitism. Criticize Israel – Go to Jail! | Veterans Today – Kritiser Israel – Bli fengslet. På tross av alt dette dyrker aviser som Dagen, Vårt Land, Korsets Seier og Norge I dag alt som har med jødedom, Holocaust og Israel. Er det ikke rart? Jødedommen (Kabala, Talmud) dyrker en avgud, kalt “Slangeguden”, men det vender de sine døve ører til, og kommer med “antisemittisme”-anklager mot alle som prøver å fortelle dem noe annet enn det de har blitt hjernevasket med. Men hvorfor skal jeg prøve å forhindre dem fra å grave våre graver? Alle får sin lønn “ovan där” en dag, når de døde skal vekkes fra gravene vi spyttet på på våre “korstog”. Washington’s reliance on private contractors to fight its wars has mutated into a strategic vulnerability. A decade ago, I found myself in a precarious position. I was in Burundi, sipping a Coke with Domitien Ndayizeye, the country’s then-president, U.S. Ambassador Jim Yellin, and several others. We had an emerging catastrophe on our hands. Ten years earlier, the Rwandan genocide left a trail of ash and tears in its wake, claiming 800,000 lives in 90 days…nearly a soul a minute. Since then, Rwanda had recovered, but neighboring Burundi remained at war with itself, ravaged by infighting with Hutus massacring Tutsis and vice versa. In 2004, the United States had intelligence that Hutu extremists wanted to trigger a new genocide that would end Tutsis once and for all. My job, in collaboration with everyone sipping Cokes in the president’s living room, was to prevent this, without anyone outside the room knowing it was a U.S.-led effort. And succeed we did. The Hutu rebels attacked the capital in November 2004, in an attempt to assassinate the president and spark mass killing. A fierce night battle erupted in the streets of Bujumbura, and the extremists were killed or beaten back into the jungles of the Congo. What made my presence in that room notable: I was not a member of the CIA. Nor was I covert U.S. military operative or government employee. I came, instead, from the private sector -a contractor to many, a mercenary to some. Illegal Alien Rapes Your Daughter Or Your LIttle Boy?